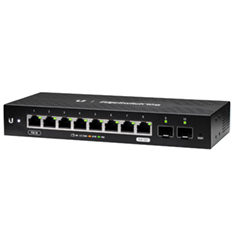 …UniFi Switch (US-24-500W) delivers robust performance, PoE+ support, and intelligent switching for growing networks. 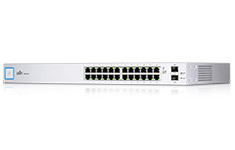 It features advanced port management such as port name, operation mode, and VLAN configuration, plus Optical Fiber connectivity and high capacity uplinks from two SFP 1Gbps ports. 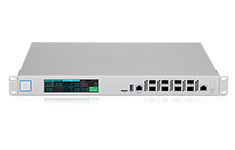 …platform. 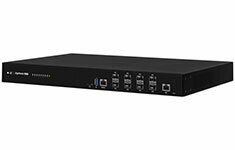 EdgeRouters combine carrierclass reliability with enterprise level features in a compact and affordableÂ unit. 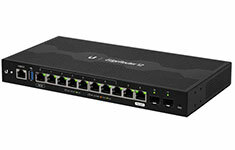 The EdgeRouter 4 offers Gigabit Ethernet ports and an SFP port for a fiber link, is capable of routing up to 3.4Â million packets per second and has a line rate of 4Â Gbps. 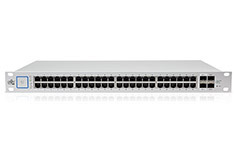 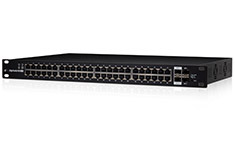 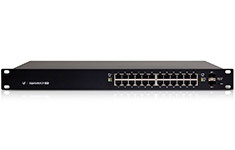 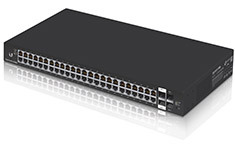 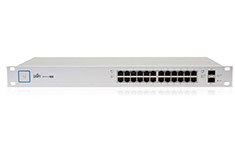 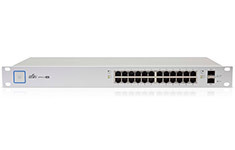 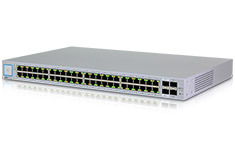 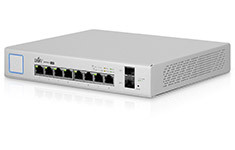 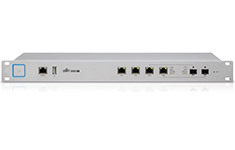 …UniFi Switch (US-48-500W) delivers robust performance, PoE+ support, and intelligent switching for growing networks. 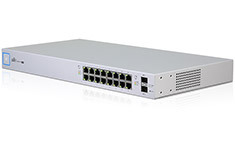 It features advanced port management such as port name, operation mode, and VLAN configuration, plus Optical Fiber connectivity and high capacity uplinks from both SFP and SFP+ ports. 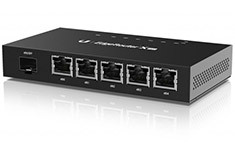 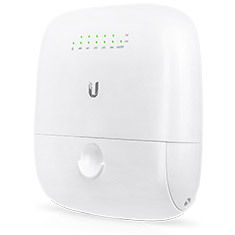 …UniFi Security Gateway Pro (USG-PRO-4) extends the UniFi Enterprise System to provide cost-effective, reliable routing and advanced security for your network. 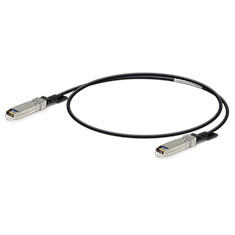 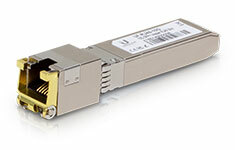 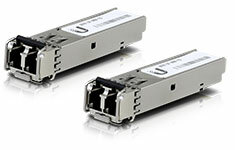 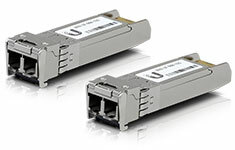 It offers two optional SFP ports for fiber connectivity to support backhaul applications and is housed in a durable, rackmount chassis. 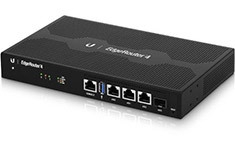 The EdgeRouter 12 offers next-generation price/performance value: up to 3.4 million packets per second processing with a line rate of up to 6.8 Gbps. 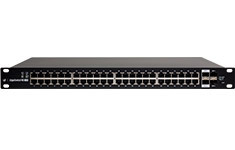 Ten Copper Gigabit ports and two independent SFP ports allows for deployment flexibility. 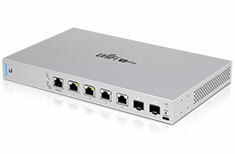 The EdgeRouter 12 supports Layer-2 switching.